In a Nutshell: Bartering has been a part of the world’s economic system since tribes traded goods and services more than 8,000 years ago. Today, businesses use bartering networks provided by the International Monetary System (IMS) to exchange excess goods or services for IMS Trade Dollars they use within the network to purchase goods or services from other members. One Trade Dollar is equivalent to the value of one US dollar and is reportable to the IRS each tax season via Form 1099-B. Members have access to the IMS Marketplace and a dedicated trade broker whose job is to market your goods or services to other members. Larger enterprises have access to the Corporate Bartering Division for higher-volume transactions. Back in the good old days of 6000 BC, Mesopotamian tribes introduced a system of trading things they had for things they wanted. Over the next several thousand years, the practice became known as bartering and helped societies acquire things from faraway lands, like spices, teas, and weapons, that normally were out of reach. One of the most valuable items was salt, which was often used to pay part of Roman soldiers’ salaries. Bartering is as popular today as it was 8,000 years ago with the Mesopotamians — whether it’s with children trading baseball cards on the playground or a mechanic offering his services in exchange for a website redesign. For more than 20,000 members of the International Monetary System (IMS) network, bartering increases business and saves on their bottom line. Since 1985, IMS has helped tens of thousands of businesses save money, increase sales, and attract new customers while spending very little money. When IMS members barter their goods or services with one another, they transact in IMS Trade Dollars that equal the standard retail price of the goods or services offered. A virtual account stores Trade Dollars for saving or later trading with other businesses on the IMS network. Registered IMS members use the platform to sell excess inventory or to offer their services — these include anything from a DJ service to accountant work, meals at restaurants, hotel stays, or roof repairs. IMS functions as a third-party record keeper for cardholding members, and each business has its own account, much like a bank. Being an IMS member requires no special accounting, as the IRS and other tax authorities recognize the system of bartering and allow business owners to claim all of their bartering income on Form 1099-B. Members claim every Trade Dollar earned as cash, and IMS provides all necessary information for proper tax reporting each year. 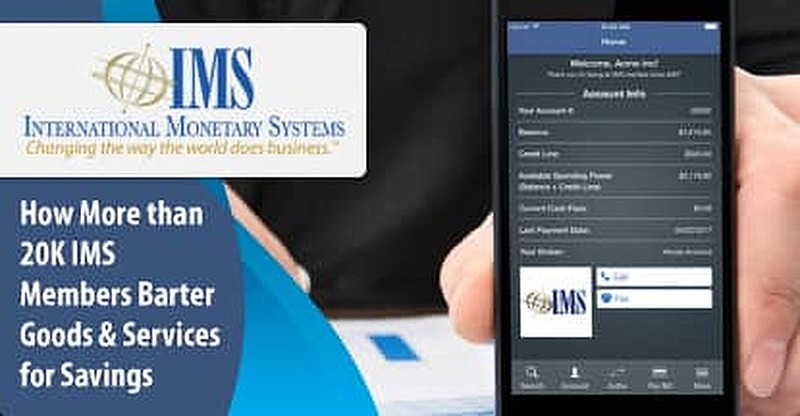 IMS adheres to strict rules and regulations in all aspects of its business practices, including the accounting of virtual IMS Trade Dollar currency. Each trade dollar is equal to one US dollar, which makes bartering negotiations easy and fast. Businesses in need of a CPA, computer help, or a business coach can find all of these services within the IMS Marketplace and use previously earned Trade Dollars to acquire the services. Trade Dollars never expire or lose value as long as a member remains in good standing and pays their membership fees. These fees include 7.5% of each transaction total as well as a monthly maintenance fee of $15 cash and $15 IMS Trade Dollars. Members market their goods and services on the IMS Marketplace not only to earn Trade Dollars but to promote their businesses. User testimonials show that bartering increases business through word of mouth from other IMS members and helps growing businesses acquire the stock or services they need to succeed. Every member company also receives a dedicated trade broker whose job is to promote and broker trade opportunities for the company within the network. This provides a new avenue for businesses to sell their products and services to companies they previously couldn’t access. Trade brokers have a personal relationship with each of their member trade businesses, which allows them to know and understand each company’s needs and deliver them as qualified leads to other members. Thousands of small and medium-sized businesses use the IMS barter system to grow their business and save on costs. The system gets results because these businesses often have a limited amount of a product or service to offer, as well as smaller storage capabilities for their product. 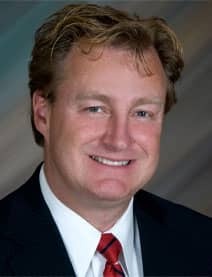 John Strabley is CEO of IMS. The Corporate Barter Program helps larger enterprises in any field closeout excess inventory or boost value from accounts receivables, equipment leases, and real estate that has significantly depreciated in value. IMS handles corporate bartering and traditional retail bartering separately, as the transaction values and volume is traditionally much larger for corporations. Many members of the Corporate Bartering Division are part of the IMS Million Dollar Club, representing members who have exceeded $1 million Trade Dollars in sales through the network. Members of the club include iHeartMedia, Allstate Sales, and Forbes. IMS’ growing coverage map currently serves most major US markets and many medium-sized metro areas. The company has expanded its membership opportunities in recent years to parts of Canada. More than 20,000 network members leverage their excess goods or services to earn IMS Trade Dollars, equal to the standard retail price of the goods or services they offer. Members use their earned Trade Dollars to purchase from other network members. The IMS Marketplace allows members to advertise their business to a community that values fair trade of goods and services and often looks to do business with fellow members when possible. The advanced system beats the one Mesopotamian tribes used nearly 8,000 years ago to sell random bones or spices they had laying around. Instead, this modern bartering system lets businesses of all sizes grow their footprint while using what they have to get what they need.